Price listed is for each setting. 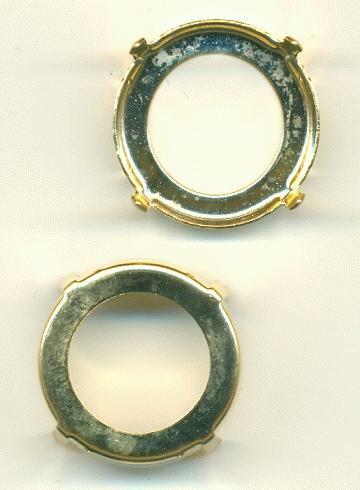 These are gold plated brass sew-on settings for 27mm round rivoli stones. They have four holes.